The deal making in the domestic steel sector is poised to grow at a faster clip going forward with cash rich players lining up to lap up stressed assets at bargain prices with lenders’ consent. The sector is also likely to shrug off the deceleration blues triggered by the global glut and overcapacity that have capped the pricing power of firms. More, key policy initiatives such as the new resolution law christened Insolvency and Bankruptcy Code (IBC) and the government’s big ticket infrastructure investment push will play out as game changers for the sector. For starters, the Insolvency and Bankruptcy Code (IBC) has set off a keenly contested race for stressed steel assets worth more than $26 billion among dominant players. It has spurred interest from metals giants such as ArcelorMittal and Vedanta Resources. Bidders are being lured by an uptick in demand and prices powered by prime minister Narendra Modi’s bulge bracket investment programme to update India’s infrastructure. 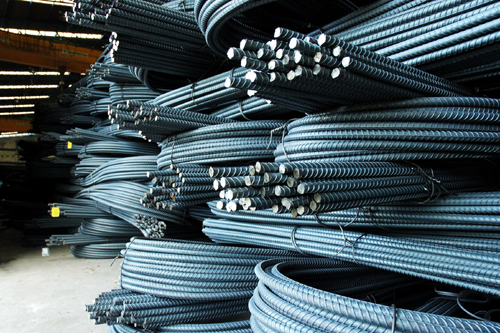 This is expected to perk up demand for steel at an average rate of 6.5 per cent driven by traction in key user industries such as construction, capital goods and consumer durables. Government’s core sector push through big ticket initiatives such as Housing for All, setting up of 100 smart cities, and the launch of National Infrastructure Investment Fund are expected to turn the tide in favour of the construction sector which has been in doldrums. Also, a benign inflationary environment along with lower interest rates is expected to spur demand for capital goods, consumer durables and automobiles, especially for tractors and two wheelers. These factors will go a long way in adding traction to steel sector. With capacity of sizable scale available at bargain prices, the sector will see a lot of mergers and acquisition (M&A) activities as bigger players with deep pockets eventually closing in on financially weak smaller firms, which were not been run very efficiently in the past. 1) Over half of steel sector’s outstanding debt would stand resolved; 2) About a fifth of India’s crude steel capacity held by these companies will move to stronger hands, resulting in better working capital and liquidity management and cash flow which, in turn, would lead to improving capacity utilisation levels; and 3) The flat steel segment would consolidate further and be controlled by fewer players – both domestic and foreign origin. A beginning has been made by Tata Steel with the successful acquisition of twin assets of stressed Bhushan Steel. If completed by March 2019, the buyout will help Tata Steel zips past SAIL and JSW to become India’s biggest steel maker. The shift in focus has come at a time when India is shelling out trillions of rupees to build up infrastructure, boosting prospects of steelmakers. Banks had sweetened the deal for Tatas by agreeing to take a haircut to the tune of 50 per cent on the outstanding debt of Bhushan Steel. The successful resolution of Bhushan assets is a positive structural development for the banking sector as well. Earlier, Vedanta got the nod from the NCLT for the acquisition of ailing Electrosteel Steels. I believe for acquirers of these assets, apart from attractive product portfolios and locational advantages, these assets also offer easy scalability. The 22 MT of capacities under resolution have brownfield expansion potential of another 20 MT -21 MT. Looking at various acquisition scenarios, the flat steel market in India was expected to consolidate further from the current scenario — of 85 per cent being controlled by six players — to three or four players. Already, India’s biggest steelmakers, such as JSW Steel, posted record net income and outlined a $6 billion plan for capacity update. Tata Steel, which aims to double domestic capacity, bounced back to black, helped by a one-time gain. Both are ramping up capacity to meet an anticipated surge in domestic consumption, with the government set to spend trillions of dollars on expanding infrastructure. The EU General Data Protection Regulation (GDPR) is the most important change in the data privacy regulation in the last couple of decades.